Our trip was fantastic! We really enjoyed the people of Australia, very welcoming, friendly and helpful. 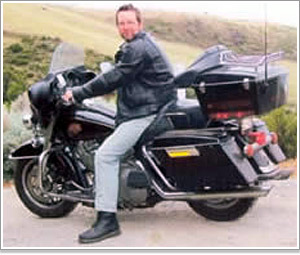 From the first e-mail to BikeRoundOz we received information that was very helpful in planning our trip. The accommodations, especially the B&B's were excellent. The guys at the depot did a great job, easy beginning and ending to our tour. Overall it was great. Linda and I were very pleased with all aspects of the trip. 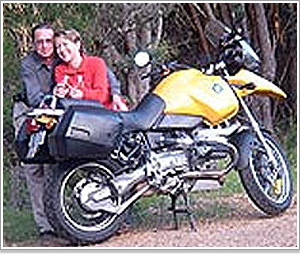 We had a fantastic time, the bike was great and although it rained a bit along the Great Ocean Road generally the weather was good. Thankfully not too hot. The accommodation was also of a very high standard, particularly the very friendly place where we spent New Years eve. The route was fantastic! Anyway, thanks very much for your help arranging the trip. If we return in the future and want to organise a similar ride we will be in touch! Thank you for your help for my trip in Australia. I returned home safely on last Saturday. I really enjoyed my trip, visited great places and talked with some riders. The weather was very nice through all days. Also, the bike was great for my ride. Thank you so much for organising the trip of a lifetime. The roads were absolutely superb. I still dream of those perfect roads with nothing else on them but me, my bike and the odd emu! You itinerary was perfect with just the right amount of riding and sightseeing per day so well done for that. I saw some fantastic views and interesting places on my journey and the accommodation you booked was all very good and clean. I met a lot of great hosts on my trip and would certainly recommend the places I stayed. To top it all the weather was sunny everyday so what more could anyone ask for? 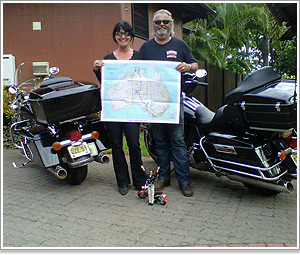 Bikeroundoz made our holiday a memorable one because of their service and their attention to detail. I always had a number to call if I needed one in case of an emergency and the feeling that support was always there was important. From first contact on the internet, to picking up our bikes, to turning our bikes in at the end of our adventure, we lacked for nothing and were treated with kindness and professionalism. A trip like this can easily go wrong if you don't start with the right people to make it happen. Some people think they can just fly to Australia and rent a bike and go. Sure, anyone can do that. However, if you've never been there and you want to get the most our of the trip, it's wise to hire the right company that knows what they're doing so you don't waste valuable time getting lost or ending up in a state of disappointment. We had a great trip because we chose the right company to organize it. First of all, thanks to all you guys for helping me achieve the dream of a lifetime - a truly wonderful road trip! Right from the start, when I first contacted you with my plans for the trip you were incredibly helpful with suggestions for routes, practical advice etc. and the month I spent on the old Bonny was one I'll never forget. The guys at the depot in Melbourne were brilliant, especially when I had a couple of punctures and needed rescuing - on a trip like this it was great to have the peace of mind that there was a back-up team, just in case, and on both occasions I was back on the road within a few hours. 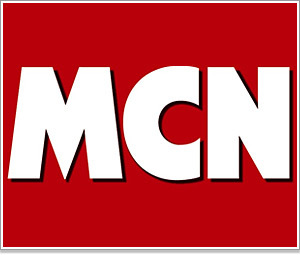 You obviously have a great network around the country helping each other out, and the support was first class. 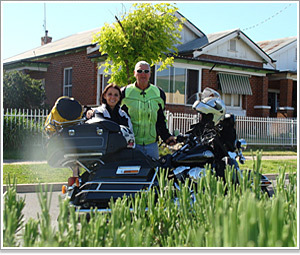 'Bike Round Oz' are simply the best if you’re undertaking a road-trip round Australia. 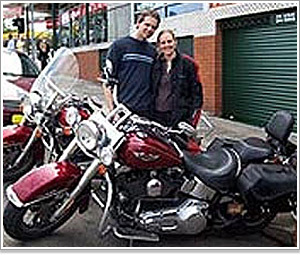 Their expertise enabled me to have the trip of a lifetime - their excellent pre-trip advice was invaluable, they have a great choice of motorbikes, and the 24/7 support they offer with their network of bike workshops around the country means you simply have no worries. Thanks guys! I couldn’t have done it without you! When I’m out on my Bonny here in England, I’ll remember what a fantastic time I had there in Australia - indeed the trip of a lifetime. The self-guided tour was outstanding! Everything, from the routes to the accommodations, was first rate! The guide contained much very useful information and points of interest along the tour. An extremely well organized package. This was the trip of a lifetime for me! To be able to spend 18 days on the road solo and not have one negative experience is outstanding! Well, OK, it did rain a bit! But that's part of the motorcycling experience. I managed to get myself off course a few times, but discovery is also a big part of riding for me. I enjoyed being able to go at my own pace and find places that most people never see! I found the people of Australia to be exactly what I always expected: wonderful, fun loving, and a good time! I hope I can come back and see much more of your beautiful continent! "Just a quick note to say a big THANKYOU for sorting the bike and all the extras for my trip along the GOR. It's been absolutely fantastic. Weather was perfect - roads deserted, and not a single ticket. Hat-trick! The self guided tour and overnight stop suggestions were really useful and the help I had whilst planning the trip all contributed to a great experience. 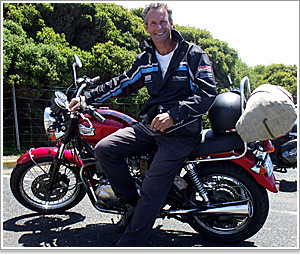 The GOR is truly the biking trip of a lifetime - something I'd recommend to every biker. 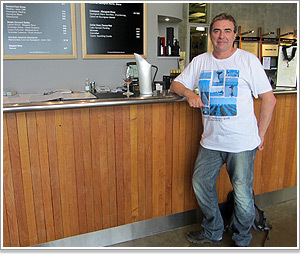 Mark, I just wanted to say a sincere big thank you for all of your help – and Shelley too! Australia is a vast, beautiful country and I had a lot to contemplate about the “Big Lap” of over 17,000 kms before arriving for the first time in Oz. The thorough pre-trip briefings you gave me and all of the tips and advice on scenic routes, what to avoid or where to stay proved absolutely invaluable along the way. It’s surprising what came back to me when I needed it, as I biked my way around Oz. The roads were absolutely perfect for a bike. 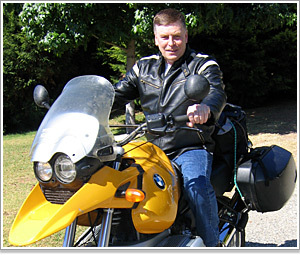 I’d never been on a BMW bike before the trip but the 1150GS was the ideal bike for the job and a pleasure to ride and never let me down once. To be perfectly honest, I’ve never quite got used to my Honda again, since I got back home. It was the trip of a lifetime and the most memorable 6 weeks I’ve ever had, it’s something that will be with me forever. 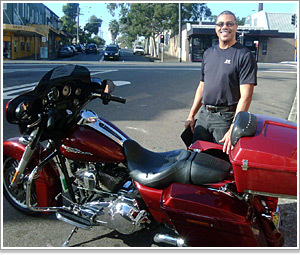 BikeRoundOz is a pleasure to deal with and you’re assured of a first class, professional service. 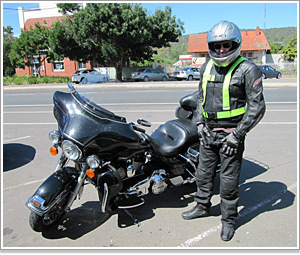 When you’re dealing with a company on the other side of the world you need the peace of mind that everything is taken care of and that’s certainly the case with BikeRoundOz. I’m looking forward to my second trip, in 2007. Hi! The trip was fantastic. We had a great time. Everything from the rides to the accommodations were wonderful. We only wish that we had more time to spend there. 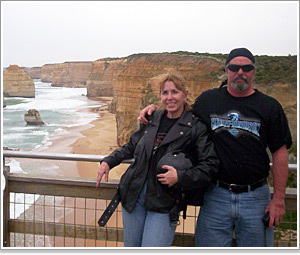 The ride along the Great Ocean Road was the best part for John. I enjoyed that ride, but thought the views through the Dividing Range were awesome. The Grampians were a bit cold, but also beautiful. When we got to the Blue Mountains and Hunter Valley the weather couldn't be better. On our last night in Sydney we climbed the Harbour Bridge. It was a fitting end to the best vacation we've been on. We will definitely recommend you to anyone planning a trip to Australia. ...many thanks to you and Shelley for making this trip so special and wonderful. From the very beginning, dealing with you has been so smooth and easy. Your professionalism and competence makes your company stand out. 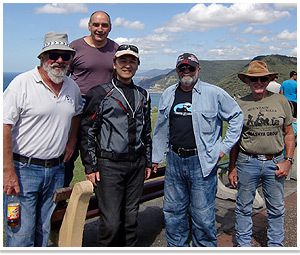 We will certainly be back in Australia and look forward to have you arrange another motorbike trip for us. We really enjoyed every minute of the tour. All the B& B's were really welcoming and friendly (with some amazing rooms and beds!) and the lady in Kangaroo Valley took us on a mini-safari to see wombats. The bikes were also great and we got to see such a variety of places. Thanks once again for everything you did for us, we really do appreciate it. We're hoping to come back to Australia one day so I'm sure we be in touch then about another tour. What can i say - the trip was fantastic and was a great experience. I was in my element. The bike was great so no problems there - it never let me down, the accommodation surprised me in terms of variety, quality and setting. After a long ride i was always kind of hoping the accommodation would be good and each time i arrived i was always astounded to discover where i was staying at times - really impressed eg. cracking studio in Byron Bay surrounded with wildlife, trees u name it, lovely couple too (they've got it made there!) - seeing them on the balcony feeding birds next morning was a culture shock! Armadale, again excellent. Wisemans ferry was fab - fantastic setting, kangaroos everywhere, really serene. Again arriving at these kind of places was kind of a relief and a real pleasant surprise to finish off the day. Sydney hotel was what it was but yep i got that great view of bridge and 10 min's walk from quay ie essential spots - I didn't realise I'd be that close. Again a real surprise. Jindabyne was just right - overlooking lake and quiet. Omeo excellent. Castlemaine guest house was kind of interesting! Very Victorian! They treated me like a King and I found it a little amusing to be honest - literally had the whole floor to myself, made me apple pie and cream, presented with a lager upon my arrival - i could not describe how good it taste after such a long trip that day! Lovely couple. Halls gap acc. was brilliant - couldn't believe the view from the patio - one minute being intrigued by the kangaroos coming out to next minute being surrounded with sulphur crested cockatoos. Weird! Top place. GOR house was about as perfect an ending I could have asked for really - nice one! I even got a chicken stew out of it when I arrived - God it was bloody peaceful there! A time to reflect! The itinerary was excellent and kind of always kept me busy and focused - planning ahead without stretching myself - I probably covered some 90% of it. Amazing how time can fly. On average I would leave each morning 9am arriving at destination around 7-8pm with each day I always felt I achieved something. Every day seemed to always surprise me with regards to the sights and the natural world of Oz. The actual riding and taking everything in was the real thing for me covering 2500 miles in all. The sheer beauty and diversity of what I was riding through was bliss. It was also challenging riding at times too - reminded me you need your wits about you to do such trips and can get distracted by the scale of it all but all part of the adventure. Overall a fantastic trip and I'm incredibly grateful to you for putting it all together for me. Thank you!